Scenes from the streets and hills around the town of Leh, Ladakh. Walls and wee monasteries in the fog. 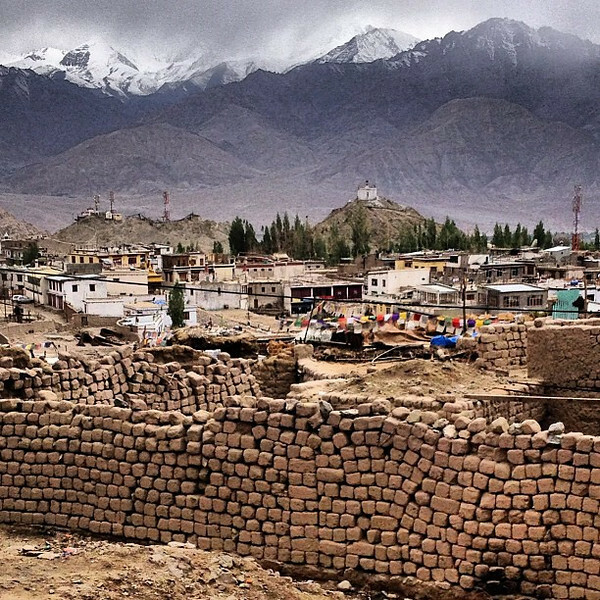 On the edge of the town of Leh, Ladakh's largest outpost seemingly carved out of nowhere.